While routinely scrolling through the Matches Fashion newsletter that's in my inbox every morning, I made a beautiful discovery yesterday that I had tell someone about it, so I'm telling all of you! The discovery comes courtesy of Rosantica by Michela Panero, a Milan-based brand that started a line of statement jewelry back in 2007. These days, it's doing something that I wish more jewelry brands would consider: They started a handbag line. 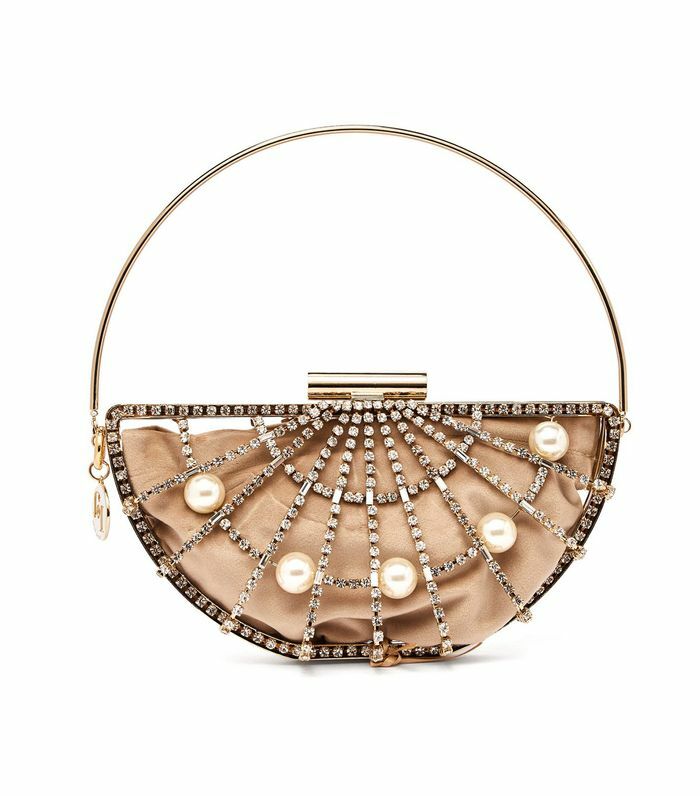 Rosantica by Michela Panero handbags are not just any handbags… They're handbags made of silk or velvet and covered in crystals and pearls, to the point that there's no need for a bracelet when carrying one of these creations. As of now, Matches seems to be the only retailer carrying them, and half of the stock is already sold out. But a scroll through the brand's Instagram account shows that there's much to look forward to (as in more jewelry-inspired bags but in more vibrant colors, and the arrival of a S/S 19 collaboration with the fashion crowd–favorite British designer Peter Pilotto). While they certainly aren't cheap, I've seen far less special evening bags being sold for far more than these ones. Every bag in the line is under $1000, and each is stunning enough to take your breath away. Keep scrolling to see what I mean, and to see some of the new designs to come via Instagram. This one is my favorite, so it's up first. Just imagine the compliments this beauty would get. This is the best possible version of "extra." Globe-shaped bags are trending for spring.